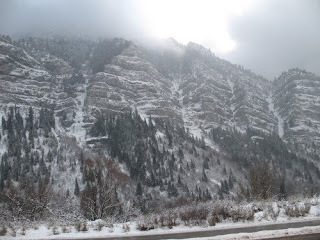 In April 1859, John Wesley Witt traveled with his wife, Lavina, and their five children, up the new Provo Canyon Road to settle what became the Heber Valley. 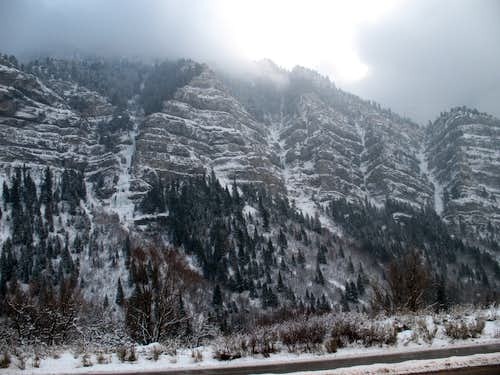 While traveling along the steep road in a driving snowstorm, the Witt’s wagon with all its contents suddenly tipped over into the swirling waters of the Provo River below. Working quickly, Uncle Dan and others helped lift the heavy wagon box off the family and miraculously snatched up the 13-day-old baby daughter, Nancy, as she began floating down stream. They salvaged what they could: the bake oven, one sack of flour and one chest of clothes. But most of their belongings were lost. The Witt family arrived in the new settlement on April 29, 1859. The weather was cold, snowy and the conditions were miserable as they made their first home out of the wagon box placed in a rude dugout. John and the other men soon put in a crop of wheat and barley grain with the hope that it would be ready for harvesting before winter. The Witt and nineteen other families celebrated a meager, but happy first Christmas of 1859 in the Heber Valley. Dee Halverson has finished the text for his second book on Midway, entitled My Love Affair With Midway. This will be out sometime next spring, filled with unpublished photographs, maps, and untold stories that will make anyone familiar with Midway, UT fall in love with her all over again. Contact Dee Halverson: wdh@heritageassociates.com for information.